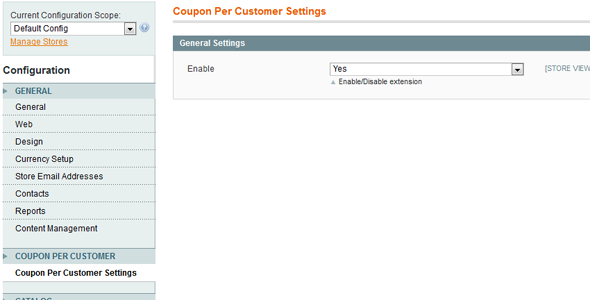 Magento Coupon Per Customer Extension is an extension which allows admin to send discount coupons codes to customers directly via emails on one click. 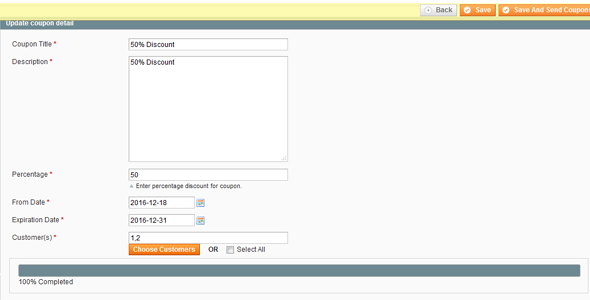 There is no way in magento to send coupons codes to customers via email, in this extension, when you create discount, it will automatically create shopping cart rule discount with coupons and send email one by one to all selected customers/all customers option chooses by you. 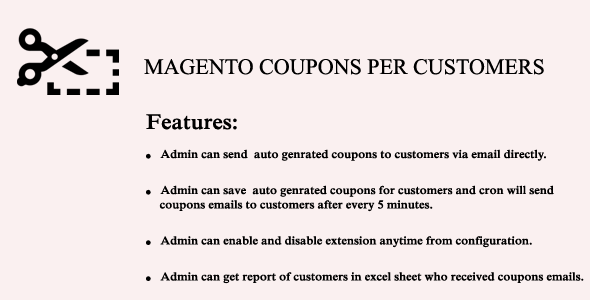 You can send emails directly or you can save discount and then magento cron after each 5 minutes will be executed and it will send coupons emails to 30 customers each time. 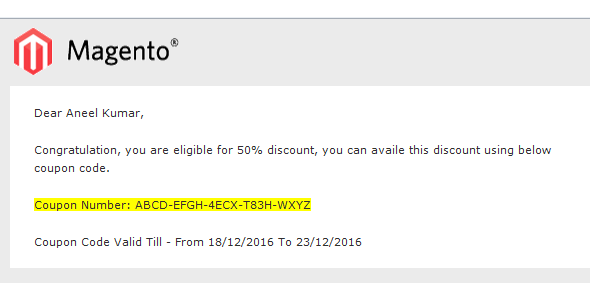 Admin can update coupon email’s template by loading “Coupons Per Customer Email” template from “System -> Transactional Emails” in admin. 1 . 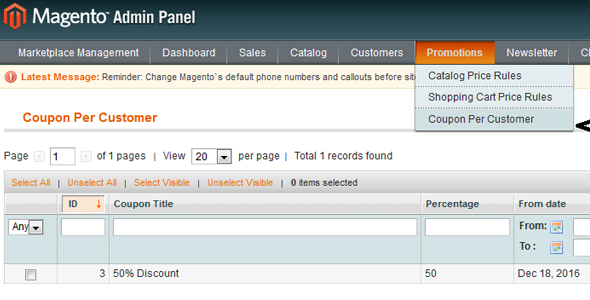 Upload file manually – Extract it and then extract “Custom_Couponsend-4.0.0.tgz” and then copy all files app folder and then paste into your magento root directory. 4. 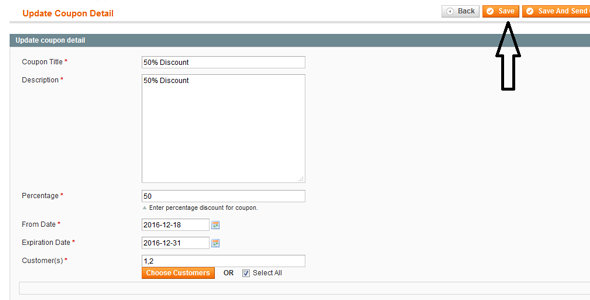 Now follow provide documentation or goto admin panel and add any discount with selected customer from “Promotions -> Coupons Per Customer”.